For the last few years, daytime running lights (DRL) have been included as a standard feature on many new vehicles. 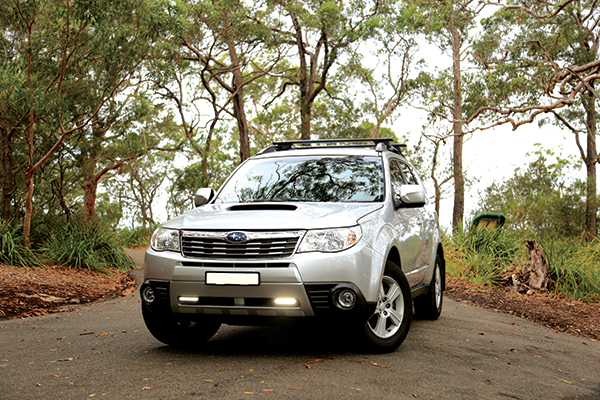 Daytime running lights (not head, parking or fog lights) are lights that stay on during the day. The concept arose when it became apparent that cars that had their headlights on during the day were more easily seen than those that didn’t. 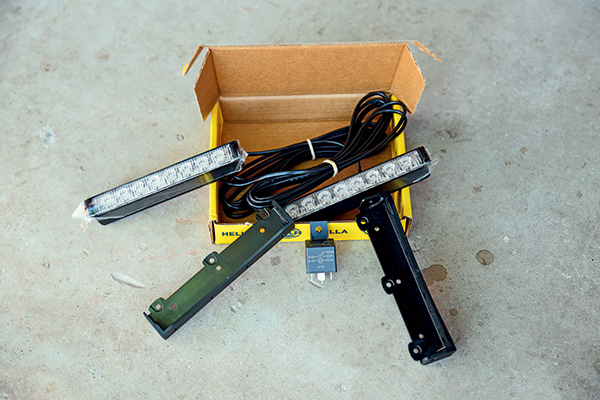 Coupled with that, the development of very bright LED lights has led to the development of DRLs. The Australian Design Rules ran a bit behind the technology and there have previously been some concerns about the legalities of these lights but they are indeed a legal fitting. ADR13/00 (Installation of Lighting and Light Signalling Devices) will tell you all you need to know. 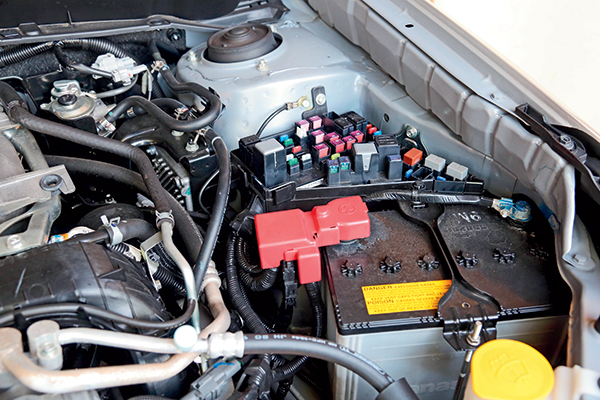 I am sure there are many readers who will remember that, back in the day, figuring out the 12V system in a car was quite easy, by doing nothing more than looking under the dashboard or the bonnet and tracing out the wires, even without a wiring diagram. Hooking up driving lights, wiring up the trailer connection or putting in a 12V supply for the fridge were also pretty easy to do. Sadly, those days have gone, and it’s now much harder to trace things out and, in some cases, to find a connecting point. 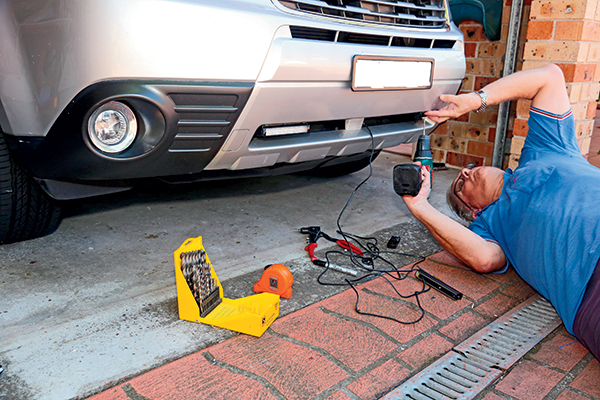 The first step (before purchase) is to have a look at the front of your chosen vehicle for suitable DRL mounting points - air vents or the grille are the usual locations. But be careful about blocking any airflow. Also keep in mind some of the legal requirements - there are some subtle differences between state requirements. In short, the centre line of the lamp module must be parallel to the ground; so the light must be in a horizontal position. In addition, the lights must be mounted no less than 250mm (10in) and no more than 1500mm (5ft) above the ground. Finally, the lamps should be mounted within 400mm (1ft 4in) of the widest point of the vehicle and be at least 600mm (2ft) from the centre of the other light. Note that some states specify between the lights. 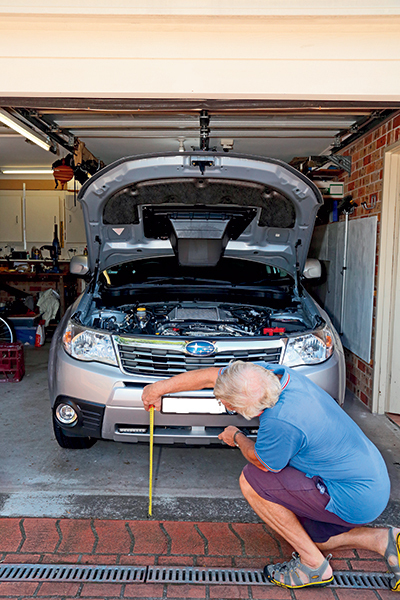 That measurement is reduced to 400mm (1ft 4in) if the vehicle is less than 1300mm (4ft 3in) wide. Operationally, the lights should be on all the time the car is being driven during the day but turn off automatically when the headlights are turned on. 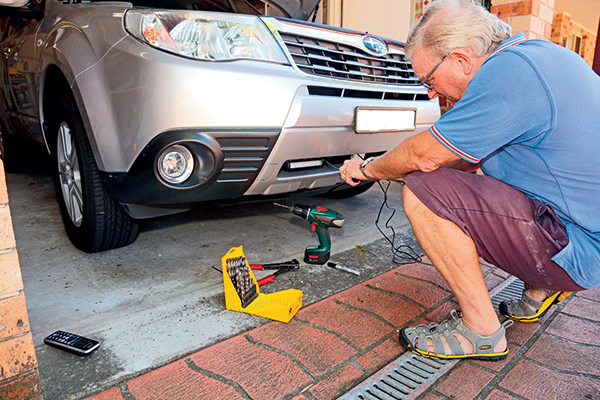 Note that not all new cars fitted with DRLs seem to operate this way, nor are they mounted as per the above, but that’s because there’s a difference between original equipment installations and aftermarket fittings. Sourcing appropriate DRLs can be tricky. Surfing the internet is probably the easiest way and sometimes aftermarket products are available for specific vehicles. Otherwise there are plenty of generic models available - Phillips, Narva, Hella and PIAA, for example. All should comply with ADR 76/00 – Daytime Running Lamp. Mine were made by Hella and came with a purpose built bracket that was easy to install. The kit also included wiring and the all-essential switching relay and some general installation directions and also a brief explanation of ADR 13/00 relevant to DRLs was extremely helpful. Whatever you buy, my tip here would be to avoid the $20 import specials. This is a fairly simple job, so all you’ll need are pliers (standard and long nose), screwdrivers, multimeter or 12V tester, power drill and drill bits, tape measure, electrical tape and a bit of stiff wire, aka an unbent coat hanger for pulling wires through awkward to get at places. A crimping tool is also useful for the lugs, otherwise the pliers will do. 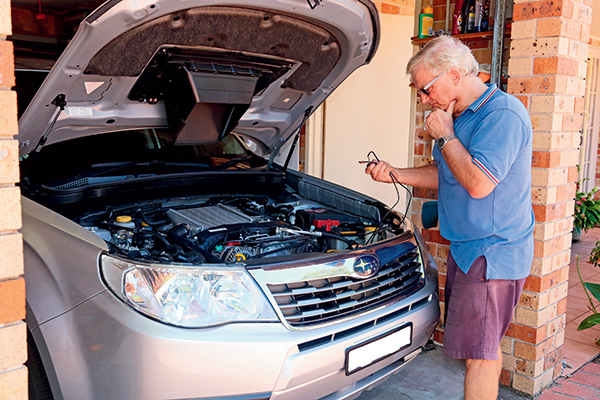 A general knowledge of vehicle 12V power systems is useful, too. Having chosen the appropriate location, it’s a case of drilling holes and fitting the light brackets. In this case, the brackets can be fitted first with the actual lights just clipping in. The Hella bracket allows for easy adjustment of the angle of the light. Whilst mounting the lights, have a think about where the wiring is going. In my case, the lights had the wiring already connected – it was insulated two core (positive and negative) with a PVC outer sheath. The light cables need to be run to a relay which in turn needs to be connected to both a headlight connection and a fused 12V supply. A final connection is from the ignition supply to the relay. All that ensures the DRLs will operate whenever the ignition is turned on but not when the headlights are being used. Ideally, the relay should be near both the battery and the headlight it’s connected to. A little tip here is to make sure the wiring does not come into contact with anything hot like the radiator which is close by nor run through metal holes where it can be chaffed. At this point, you might run into a little problem, as I did. The necessary connection points are very fiddly to get at. There are two choices here. One is to do all the connections up to the relay and then get an auto electrician to do the rest. Or the alternative is to spend a bit more money on something like what Hella calls its Safety Daylights Smart Controller. Philips makes something similar and it’s connected straight across the battery – making sure there’s a fuse on the positive side, of course. It’s is quite simple – it operates by monitoring the battery voltage which will be higher anytime the engine is running. There’s no switching involved at all. It’s always good to make sure that all connections are tight. Using crimped connections works very well and these are quite cheaply obtained from a decent hardware or motoring shop. The last job is just a matter of making sure all the wiring is neatly strapped/taped up out of the way. Wiring of a different colour to red and black can be used but to keep things conventional and obvious, I used red and black tape to indicate positive and negative. Testing the lights to make sure they work properly is the last step. The full feature appeared in Caravan World #561. Subscribe today for the latest caravan reviews and news every month!